Timber Wolf Black Pakkawood Pocket Knife | BUDK.com - Knives & Swords At The Lowest Prices! 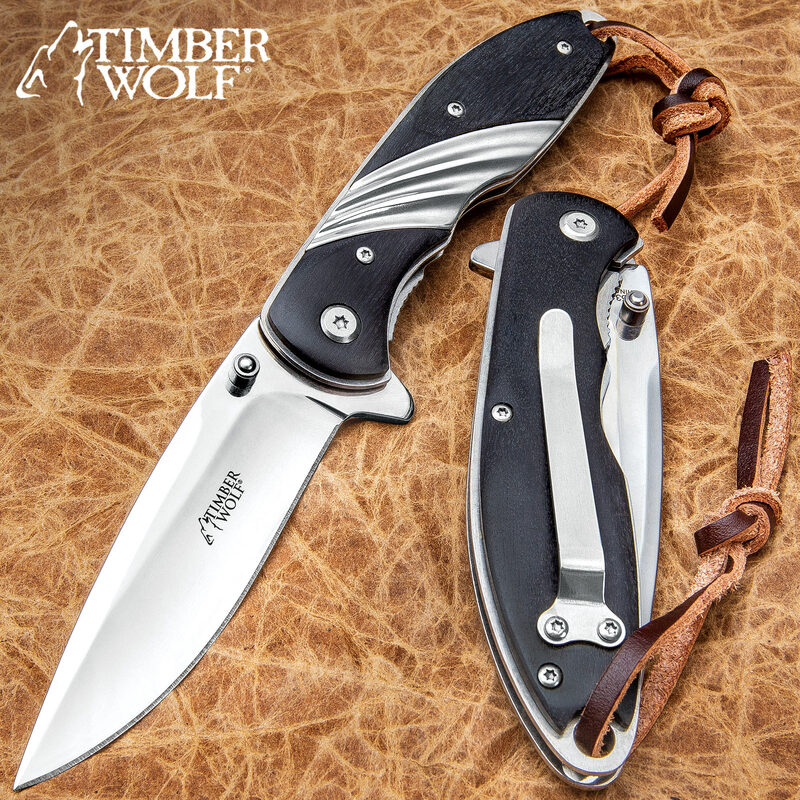 The attractive black pakkawood handle with its stainless steel decorative insert makes this Timber Wolf pocket knife an excellent choice as an everyday carry knife. It looks great and has a comfortable feel when you use it. The 3 1/4” 3Cr13 stainless steel, satin finished blade can be quickly accessed with an assisted opening mechanism. A genuine leather lanyard and a sturdy metal pocket clip gives you a choice of carrying options. This premium wooden handled pocket knife is a perfect gift for any occasion. Very pretty, very smooth, great price. I have many Timber Wolf knives. I love them all, but this one might just be my favorite. Excellent quality, flicks like a dream, looks gorgeous, and the blade is fantastic. Even though I read the dimensions and knew it would be a bit large for the average pocket in women's clothing, I accept that problem and bought it anyways and I do not regret it! Timber wolf is fantastic and they make wonderful knives! 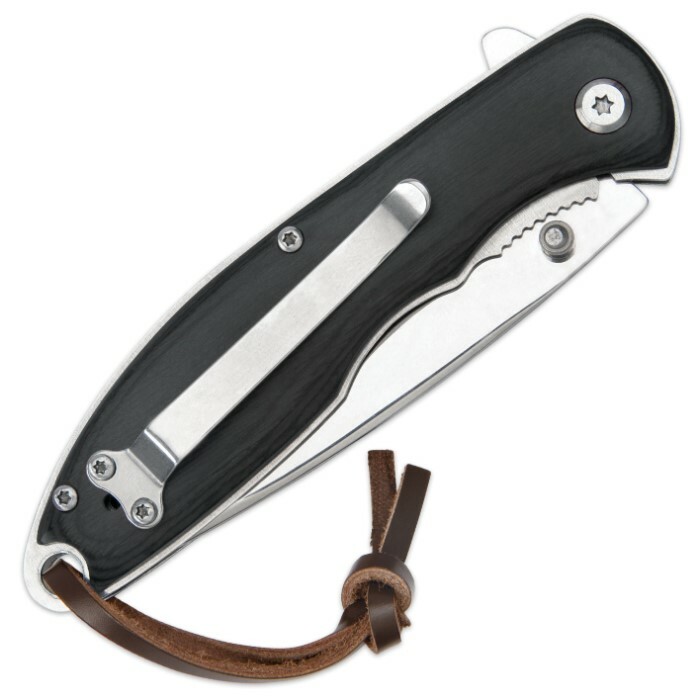 This pocket knife is a simple design, elegant looking. It reminds me of the pocket knives I carried as a kid (but with assisted opening. Great bargain for a sharp looking knife.